Ready to make some street art… or you you prefer acts of vandalism? Present your slide content as graffiti on a brick wall. A hand holding a graffiti bottle can and spraying with a black paint. 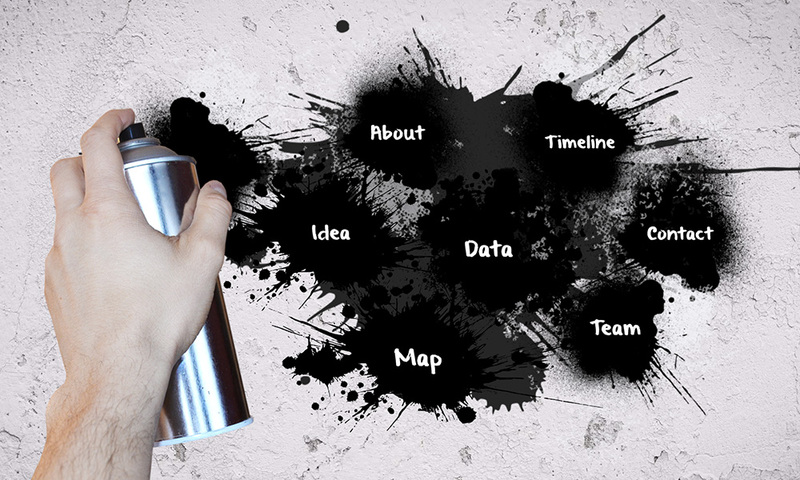 An abstract Prezi presentation template with dark ink splatters on the wall. Zoom in and insert your own content into the paint splashes. 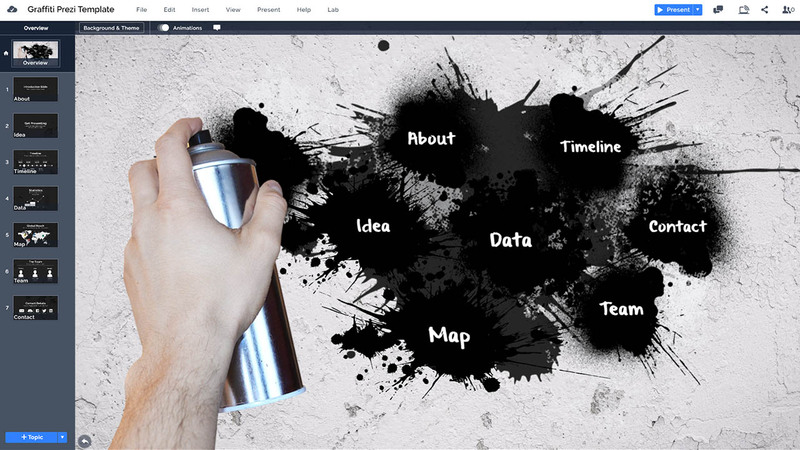 You can easily customize the template by deleting the hand with bottle and rearranging the paint splashes. Duplicate the existing topics if you wish to add more placeholders and resize if you need to highlight a certain topic. This urban style template is perfect for making a presentation about modern street art, hip hop culture or for promoting an event such as a music concert. This entry was posted in Best Prezi presentation templates, Prezi Next Templates and tagged art, graffiti powerpoint template, graffiti powerpoint template free, graffiti powerpoint template free download, graffiti powerpoint templates free download, graffiti presentation templates, grafiti, grafiti art, grafiti on wall, grafiti presentation template, grunge, ink, paint splash, prezi next template art, splatter, street art.